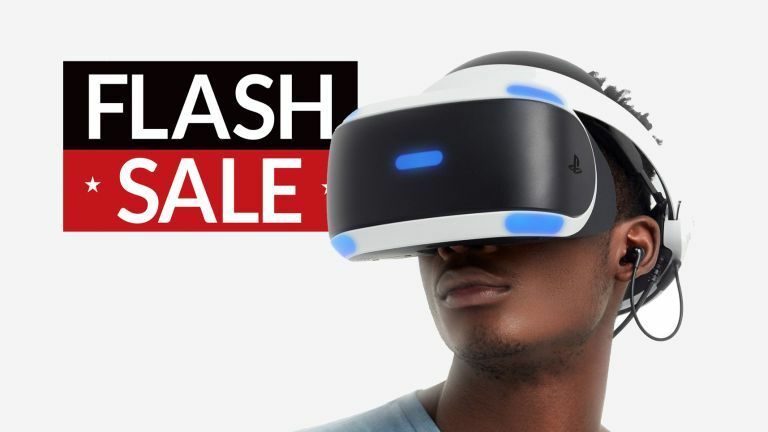 This is, by far, the best gaming deal we've seen so far during Black Friday 2018, with Amazon offering a truly excellent PlayStation VR Starter Pack and game bundle for a stupidly low price point. How low? £179.99 low! Yeah, it's truly ridiculous, with the headset on its own retailing for much of 2018 at closer to £250, so here you're saving going on £70 out of the gate compared to earlier in the year, and that's not even taking into account the game bundled in, either, which is the superb Astro Bot Rescue Mission. The PlayStation VR gaming system offers the most accessible, plug-and-play way to enjoy virtual reality, with Sony offering a system that is unmatched in ease of use and gaming ecosystem, with a large library of quality titles now available to play. Partner the PSVR headset with a PS4 Pro, too, and you get enhanced VR performance, so if you're currently rocking Sony's flagship console then this deal is even more attractive.